Cupcakes are quite possibly one of my favorite foods. They're so moist and delicious...mmmmmmmmmm...I just love 'em! Noah and I are huge cupcake fans--we even had them at our wedding reception instead of the traditional cake :) Carrot and Red Velvet are two of my ultimate fave flavors. And recently, I have discovered the most AMAZING cream cheese frosting recipe--a lil' taste of heaven! Buttery and smooth with just a hint of vanilla (check out the end of this post--there's a surprise waiting for you!). Even better: it's super easy to make (um, granted that you have an electric stand-alone mixer...if you don't, it can get a bit messy). Anyway, so as I was pondering over Christmas gift ideas and perusing various websites for help, I came across the cutest idea: Cupcake in a Jar! What a perfect gift for our co-workers and friends here in Chico! They turned out absolutely adorable...not to mention delicious (Noah and I taste-tested one)! 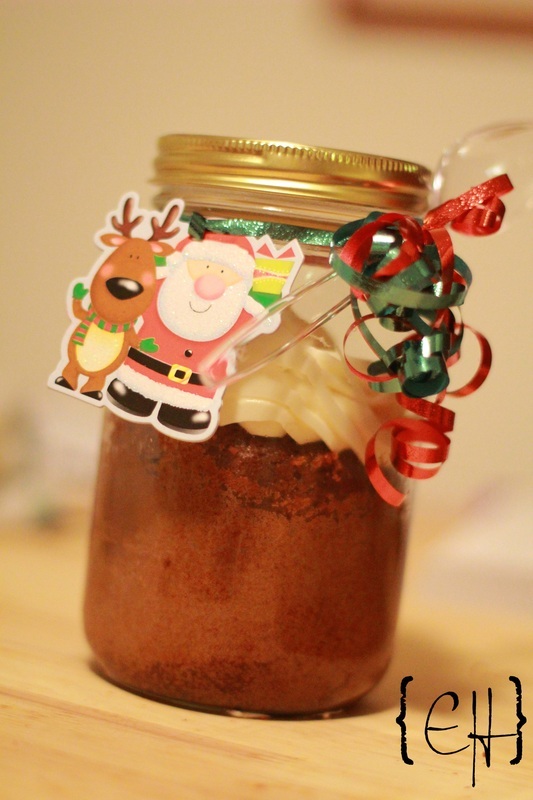 You can actually bake the cupcake in the mason jar itself! So cool! And, if you make the cupcakes and frosting from scratch and head to the Dollar Tree for the labels (as I did), they're actually an incredibly affordable gift, too (**disclaimer--my mom was HUGELY into canning when I was a kid and she gave me two dozen mason jars to use for this). However, they are pretty time consuming to make and put together. Since I made the cupcakes and frosting from scratch, it turned out to be quite the project! Let's just say that if you don't like big messes in the kitchen and hate major clean-up, this is not the project for you! LOL! They took me two days to complete (preppiung the jars, buying the ingredients, making the batter, bake time, cool time, etc., etc., etc., etc.). I've posted some pics of the final product! Check 'em out! If you enjoy baking and want a creative gift for neighbors, friends, family, and/or co-workers, this is a super cool idea! And, let me know if you'd like a good cupcake recipe--I have several cupcake books with excellent recipes :) Happy baking! With an electric mixer on medium-high speed, beat butter and cream cheese until fluffy (2-3 minutes). Reduce speed to low. Add sugar, 1/2 cup at a time, and then vanilla. Mix until smooth and combined. If not using immediately, frosting can be refrigerated up to 3 days in air-tight container. Before using, bring to room temperature, and beat on low until smooth again.